Mike Moore | The Journal Gazette Mad Ants rookie guard Rob Gray averaged 19.3 points last season at the University of Houston. Rob Gray, a Mad Ants rookie, talks a lot about his competitive spirit, his aggressiveness on the court and, of course, that shooting touch. That tenaciousness has been there for years, through his three seasons at the University of Houston, where he averaged 18.8 points, 3.3 rebounds and 3 assists over 92 games. 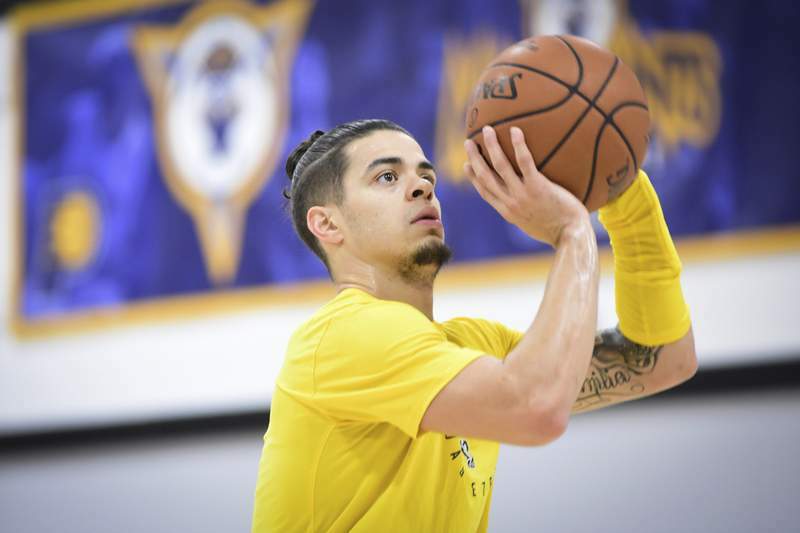 After no NBA teams drafted him this year, he attended training camp with the Houston Rockets and landed with the Mad Ants via the second round of the G League draft. “That (hunger) has always has been there. I'm a junior college guy. It's just natural in my makeup, and I'm just looking forward to competing here,” said Gray, 24, a 6-foot-4 point guard. Gray didn't play in the Mad Ants' season-opening 112-101 loss to the Sioux Falls Skyforce on Nov. 2, and playing time may be sparse at today's 7 p.m. home opener at Memorial Coliseum against the Erie BayHawks because the Indiana Pacers have sent down guard Edmond Sumner and forward Alize Johnson, but Gray is a player the Mad Ants like. In the NCAA Tournament last season, Gray had 39 points against San Diego State in the first round and 23 points with 10 rebounds in a loss to Michigan, which lost in the title game to Villanova. The Mad Ants need to replace much scoring – Lemon, DeQuan Jones, Trey McKinney Jones – so Gray should come in handy. Last season, he averaged 19.3 points and made 35.9 percent of his shots from 3-point range, averaging five shots from there per game, while also averaging 4.4 assists and 3.7 rebounds for Houston. “I just want to be myself, first and foremost, attack and be aggressive, and also help my teammates get shots in their comfort zones,” said Gray, who is from Forest City, North Carolina, and who played junior college basketball at Howard College (Texas). Note: Former Indiana University star Calbert Cheaney is an assistant coach on Erie coach Noel Gillespie's staff. Cheaney was a three-time All-American and remains the Big Ten's all-time leading scorer.